To celebrate my new book, The Christmas Heart, I thought I’d give you an insight into Tom, one of the characters in the book. 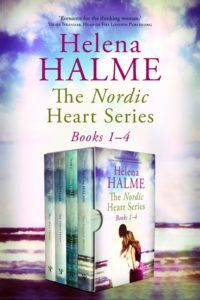 For those of you who are new to The Nordic Heart Series, Finnish Kaisa is the main character in all the books. 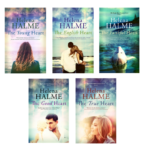 Throughout the four novels, we follow her life for a period of ten years after she meets and falls head over heels in love with an English Naval Officer, Peter. But Kaisa also meets Tom, a tall, dark-haired ‘Rich Boy’, in the first book in the series. Tom is a fellow student at Hanken School of Economics in Helsinki, with a reputation of being a bit of a womanizer. When first approached by Tom, Kaisa ignores his advances, but cannot but feel flattered by the efforts he makes to charm her. 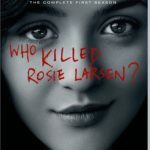 A few years later, in the mid-eighties, the two bump into each other again in Helsinki where Kaisa has returned, believing her relationship with Peter has ended. This scene is from The Good Heart, Book 3 in the series. Inside the Fazer café, while waiting to be seated, Kaisa stopped to dig out her purse from her handbag, to make sure she had enough money to pay. When she looked up, she saw the smiling face of a man looking down at her. Kaisa had forgotten how tall Tom was. The guy was positively towering over her. His eyes were dark and his light brown hair was a little shorter, and tidier, than she remembered. He was wearing an expensive-looking dark grey overcoat, which was open, revealing a suit underneath. ‘No,’ Kaisa felt suddenly as flustered as she had at Hanken when the two of them had played their cat and mouse game. ‘This is ridiculous, pull yourself together,’ Kaisa thought, straightening up. 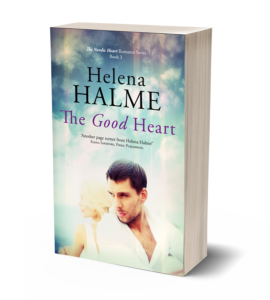 If you haven’t read The Good Heart, I won’t reveal to you what happens next, but I can tell you that these two meet a third time in the snow-peaked Swedish Alps in The Christmas Heart. It is now 2017 and Kaisa is on holiday with her best friend Tuuli and her partner, Ricky. Once again sparks fly when Tom and Kaisa set eyes on each other. Here is an exclusive sneak peek from the book, the moment when they meet after so many years. It was only when Kaisa looked over Ricky’s shoulder, still in his friendly, but tight embrace, that she saw him. Her breath caught in her throat and she pulled herself away. Tom came forward and offered Kaisa his hand. ‘Hi, it’s been a long time,’ Tom said and grinned like a naughty schoolboy. Kaisa took the proffered hand and felt his strong fingers around her own. Their eyes met. 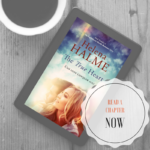 Kaisa’s mind went to the first time she’d ever seen him, in the Hanken Student’s Union Bar where he had so obviously hit on her, giving her the once over, lingering on Kaisa’s hips, breasts and lips for far too long. Kaisa regarded the now fully grown-up man in front of her. Tom’s tidy beard (just a five-clock shadow, really) was almost white with the frost on it. It looked as if he’d just stepped inside the restaurant. His body was radiating cold air. He too was wearing an all-in-one snowsuit, but his was light grey with red stripes on the sides. His light brown hair was a little silvery around the temples, but he had the same haircut with a floppy fringe that he’d worn at university. ‘Yes,’ she managed to finally stutter. Very much like Kaisa, Tom has lived abroad but has recently returned to Helsinki from Milan where his late mother was born. He is ‘tanned in that central European way that no Finn ever managed however much self-tanning lotion they applied’, with a wide smile revealing sparkling white teeth. 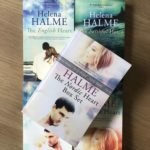 Kaisa sees nothing much has changed; Tom is the same wealthy boy she knew from before, with just possibly a few more wrinkles and a little more sense than he had as a young man. ‘What’s wrong with a bit of fun on holiday?’ she thinks but as Tom showers her with his attentions, can she resist falling in love with this charming European Casanova? Can she finally trust him? The Christmas Heart is out on 25 October 2018. 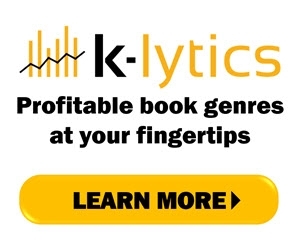 It’s now on pre-order at a special launch price of just $0.99. You can order your copy here. Can We Only Do Nordic Noir?